A recent poll found that 26% of Americans are addicted to coffee. For those seeking a healthy alternative, a cup of hot spearmint-cocoa, rich in bioactive compounds, has been shown to clear brain fog and stimulate brain blood flow. Controlled studies show that adults drinking this spearmint-cocoa beverage improve their concentration, working memory and mental clarity. Each morning, about 64% of adult Americans consume at least one cup of coffee.1The brain responds by releasing noradrenaline that provides a quick energy boost. This is often followed by a “caffeine letdown” whereby noradrenaline in the brain is depleted and subsequent coffee fails to provide sufficient mental boost.According to a recent poll, 26% of Americans say they are addicted to coffee.1 Some wish they could quit for a few weeks to regain the energy-boost that coffee previously provided.For many people, brain fog develops in mid-to-late afternoon. Others find it difficult to focus clearly upon awakening.A healthy alternative to coffee has been shown to quickly reverse mental deficits. Those who experience brain fatigue in the morning or later in the day now have a pick-me-up alternative that also improves brain focus and clarity.Natural compounds have been clinically demonstrated to improve attention and concentration by preserving brain neurotransmitters (such as noradrenaline).A proprietary spearmint extract combined in cocoa powder can now be mixed into a convenient beverage. It can be used for precisely those times when we need a boost to mental sharpness, focus, and attention.In addition, cocoa powder promotes micro-vascular blood flow in the brain, assuring moment-by-moment oxygenation to brain regions needed for focus and working memory. 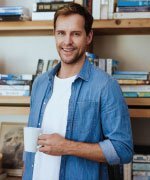 Coffee beans contain polyphenols such as chlorogenic acid that have demonstrated health benefits.For some people, even decaf creates discomforts like heartburn and excess nerve stimulation.For those who don’t want to reach for a cup of coffee, the combination of cocoa and spearmint is a great alternative for erasing brain fog and achieving mental clarity. That afternoon low point in mental sharpness, focus, and attention is something most of us have learned to live with. Some reach for another cup of coffee, but at this time of day that extra cup could cost them valuable sleep. Human studies have demonstrated that a group of phenolic compounds from spearmint can enhance performance on tests of working memory, the critical factor in sustaining attention and focus during problem solving. Cocoa powder was recently shown to significantly improve the match between brain cell activity and brain blood flow, an important requirement for crisp mental function that also correlates with resistance to developing dementia. Spearmint extracts have now been added to a high-quality cocoa powder to provide a boost for attention and mental focus, capitalizing on the benefits of each natural compound. There is no longer any reason to tolerate morning grogginess or the “four o’clock fade.” A cup of spearmint hot chocolate may be just the right prescription for sustained brain performance throughout the day. A larger, randomized, double-blind, placebo-controlled study followed after the first was published, which further demonstrated the brain benefits of this spearmint extract.In this study, 90 subjects, average age 59—with known age-associated memory impairment but not dementia—were enrolled.5One of the study’s target outcomes was the effect of the extract on subjects’ working memory. This is important because good “working memory” enables multiple memories/sensory inputs to be integrated to direct decisions and reactions.Subjects received the spearmint extract daily with breakfast for 90 days at one of two doses, 900 mg or 600 mg, or placebo. The extract was standardized to contain 14.5% rosmarinic acid, one of spearmint’s important components.At day zero, and on days 45 and 90, subjects underwent a battery of computerized tests of cognitive performance.The study results found that, by day 90, subjects taking the 900–mg supplement dose had a significant 3-timeimprovement in the quality of their working memory compared with placebo recipients. This indicates alert brain function.The lower-dose (600 mg) group showed a non-significant improvement over baseline.Another cognitive test measured spatial working memory (the ability to know where items are arranged in space, and how to use this information). People on the 900 mg/day supplement dose demonstrated a nearly-3–times improvement compared to the placebo.Of additional interest, the higher-dose (900 mg) group also showed significant improvements in their sleep patterns, with increased ease in getting to sleep, and better alertness and behavior following awakening.Together these clinical trials provide compelling support for this novel spearmint extract on helping individuals stay focused and on-task by boosting working memory capacity—under both acute and chronic circumstances. Many studies of cognition report on something called working memory. We can think of working memory as akin to our desktops (real or on a computer). It is the “space” where we hold various bits of information while we compare them with each other, eventually developing a plan for how to respond to a given situation. All of this takes place in the blink of an eye, and we are not ever conscious of the complex interactions going on deep in our brains.For example, a driver approaching a red light puts “red light” in working memory, and then pulls out “filed” information about what a red light means. That in turn triggers further associations, so that the driver adds “car approaching from the right,” the current speedometer indication, road conditions, and myriad other facts, and then integrates them in an orderly way, resulting in an apparently automatic response to press the brake pedal, continue scanning for traffic, a glance in the rearview mirror, and all the other mental and motor tasks required to bring the car to a safe stop ahead of the intersection.Loss of working memory, then, impairs our ability to operate safely and efficiently in an ever-changing world, and contributes to the confusion, momentary disorientation, and uncertainty that plague so many of us as we age.Improvements in working memory are therefore measureable gains in an individual’s ability, not only to cope, but to thrive as an independent-living adult. 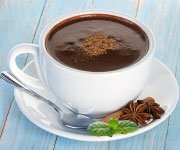 Cocoa (without sugar) is a beverage with a reputation for producing comfort and relaxation.A recent clinical study has demonstrated the benefits of cocoa powder on brain focus in humans. In addition, scientists evaluated a microvascular phenomenon called neurovascular coupling. This beneficial effect occurs when tiny blood vessels dilate (open-up) to deliver more blood to brain regions where increased cellular activity is required.6Sixty adults, average age 73, participated in a double-blind, randomized clinical trial. All subjects were hypertensive or had well-controlled type II diabetes.Subjects were randomly assigned to receive a cocoa beverage that was either rich in flavonols or deficient in flavonols, consuming two cups of the assigned drink daily for 30 days.All subjects had measurements of their neurovascular coupling and cognitive function at baseline and on days one and 30 after beginning the cocoa consumption.What this study demonstrated was that, at 24 hours, subjects with impaired baseline neurovascular couplinghad a 10.6% improvement in neurovascular coupling, and, by 30 days, these subjects’ performance on a test requiring attention significantly improved.6The baseline time to complete this test was 167 seconds (more than 2.75 minutes), while after 30 days of supplementation that time was just 116 seconds (less than two minutes), a 51-second gain. Clearly, the cocoa beverage was speeding up brain function and alertness.This study’s important contribution is that it showed how cocoa supplementation can boost brain blood flow in response to need (defined as neurovascular coupling), that directly affects our ability to focus and pay attention, even over the short term.The study also found, somewhat surprisingly, that the flavonol-rich and the flavonol-poor cocoa drinks produced the same effects, showing that something other than flavonols was responsible for the observed improvements.6Another study enrolled 20 young adults (average age 33) who were randomly assigned to receive 11.6 gramsof cocoa powder, a mix of caffeine and theobromine (components of cocoa), or a placebo.7This study focused on the immediate, short-term cognitive effects of cocoa consumption, with cognitive function tests administered before treatment, and one and two hours after treatment.The study showed that, compared to placebo, cocoa powder significantly shortened reaction time and boosted alertness in a test that required focus, attention, and concentration.7Essentially, the results suggest that the small amount of naturally occurring caffeine + bioactives of cocoa called theobromine are responsible for cocoa powder’s impact on alertness and mood.The study tested various aspects of enhanced brain functioning such as reaction time, rapid visual information processing and energetic arousal and found that all were improved with the ingestion of the cocoa powder and its components.Together, these studies show that cocoa produces near-immediate improvements in the cognitive functions when we need to pay attention, to focus, and to concentrate. These are all measures of improved working memory. 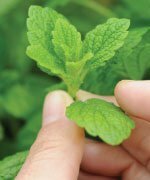 Modern science has unraveled many of the secrets of spearmint, which is rich in phenolic compounds, like rosmarinic acid.Research reveals that such phenolic compounds inhibit an enzyme, acetylcholinesterase, that breaks down the vital memory-associated neurotransmitter acetylcholine.8-10As a result, greater amounts of the neurotransmitter are available to brain cells in memory-intensive portions of the brain.Spearmint phenolic compounds are also potent oxidative stress-preventives, helping to protect brain cells from direct oxidative damage.11,12A proprietary mix of spearmint phenolic compounds, sourced from patent-pending, non-GMO lines of spearmint, known as K110-42, has now been grown for the express purpose of use in a cognition-enhancing supplement.14,15These spearmint lines have a distinct phytochemical composition that is significantly richer in rosmarinic acid and other phenolic compounds, compared with standard commercial spearmint.14,16The phenolic mix is extracted using a water extraction method and a patent-pending drying technique aimed at optimizing the phenolic content.This concentrates the important rosmarinic acid component more fully than does steam extraction. 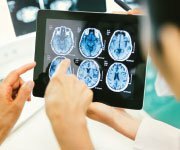 WHY IS NEUROVASCULAR COUPLING IMPORTANT IN THE BRAIN? Cocoa is rich in numerous phenolic and other bioactive compounds, and has recently been found to have a specific beneficial effect on neurovascular coupling,6 a measure of how well blood flow matches brain cell activity in tiny regions of the brain.17-19Strong neurovascular coupling suggests that blood flow is well matched to those brain areas that need fresh oxygen and nutrients.It is now known that those with impaired neurovascular coupling are more likely to have cognitive decline, and, furthermore, that deterioration of neurovascular coupling precedes measureable impairment in cognitive function during brain aging.20,21So, any therapy that can restore normal neurovascular coupling may indeed help to slow the onset or progression of these dreaded conditions. Recent human studies make a compelling case for taking a powdered drink mix of spearmint extract and cocoa powder.The combination seems ideal for use as an immediate pick-me-up beverage for those times when we could use better focus, attention, and concentration.These plant-sourced ingredients have demonstrated brain-activating effects that provide cognitive benefits throughout the day.For those who seek an alternative to coffee, or want to cut back their caffeine consumption, enjoying a cup of hot spearmint-cocoa may provide clearer thinking, better focus, and greater mental clarity.If you have any questions on the scientific content of this article, please call a Life Extension® Wellness Specialist at 1-866-864-3027. Available at: http://www.gallup.com/poll/184388/americans-coffee-consumption-steady-few-cut-back.aspx. Accessed April 5, 2017. Jaradat NA, Al Zabadi H, Rahhal B, et al. The effect of inhalation of Citrus sinensis flowers and Mentha spicata leave essential oils on lung function and exercise performance: a quasi-experimental uncontrolled before-and-after study. J Int Soc Sports Nutr. 2016;13:36. Mahboubi M. Mentha spicata as natural analgesia for treatment of pain in osteoarthritis patients. Complement Ther Clin Pract. 2017;26:1-4. Nieman KM, Sanoshy KD, Bresciani L, et al. Tolerance, bioavailability, and potential cognitive health implications of a distinct aqueous spearmint extract. Functional Foods in Health and Disease. 2015;5(5):165 of 87. Nieman KM, Sanoshy KD, Fonseca BA, et al. 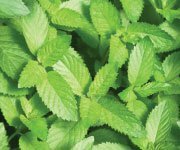 Spearmint Extract Improves Working Memory in Men and Women with Age-Associated Memory Impairment. Submitted. 2016. Sorond FA, Hurwitz S, Salat DH, et al. Neurovascular coupling, cerebral white matter integrity, and response to cocoa in older people. Neurology. 2013;81(10):904-9. Smit HJ, Gaffan EA, Rogers PJ. Methylxanthines are the psycho-pharmacologically active constituents of chocolate. Psychopharmacology (Berl). 2004;176(3-4):412-9. Ali-Shtayeh MS, Jamous RM, Zaitoun SYA, et al. In-vitro screening of acetylcholinesterase inhibitory activity of extracts from Palestinian indigenous flora in relation to the treatment of Alzheimer’s disease. Functional Foods in Health and Disease. 2014;4(9):381-400. Shaikh S, Yaacob HB, Rahim ZHA. Prospective Role in Treatment of Major Illnesses and Potential Benefits as a Safe Insecticide and Natural Food Preservative of Mint (Mentha spp. ): A Review. Asian Journal of Biomedical and Pharmaceutical Sciences. 2014;4(35):1-12. Oinonen PP, Jokela JK, Hatakka AI, et al. Linarin, a selective acetylcholinesterase inhibitor from Mentha arvensis. Fitoterapia. 2006;77(6):429-34. Farr SA, Niehoff ML, Ceddia MA, et al. Effect of botanical extracts containing carnosic acid or rosmarinic acid on learning and memory in SAMP8 mice. Physiol Behav. 2016;165:328-38. Fonseca BA, Herrlinger KA. The effects of a proprietary spearmint extract on neurogenesis rates in rat hippocampal neurons. Paper presented at: Neuroscience2016; San Diego, CA. Rozan P, Hidalgo S, Nejdi A, et al. 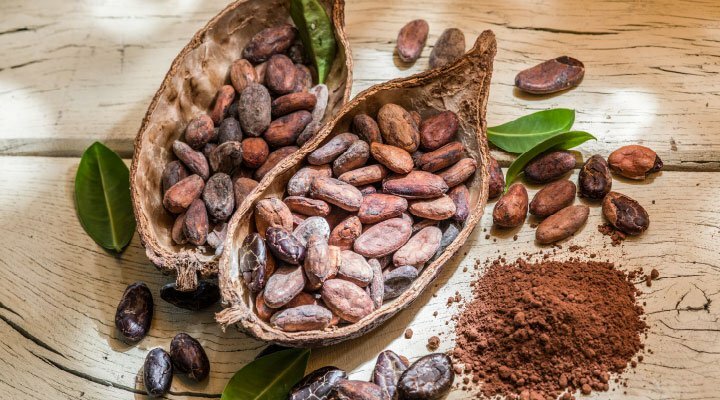 Preventive antioxidant effects of cocoa polyphenolic extract on free radical production and cognitive performances after heat exposure in Wistar rats. J Food Sci.2007;72(3):S203-6. Narasimhamoorthy B, Zhao L, Liu X, et al. Differences in the chemotype of two native spearmint clonal lines selected for rosmarinic acid accumulation in comparison to commercially grown native spearmint. Industrial Crops and Products. 2015;63:87-91. Cirlini M, Mena P, Tassotti M, et al. Phenolic and Volatile Composition of a Dry Spearmint (Mentha spicata L.) Extract. Molecules. 2016;21(8). Chen Z, Calhoun V. Volumetric BOLD fMRI simulation: from neurovascular coupling to multivoxel imaging. BMC Med Imaging. 2012;12:8. Fabiani M, Gordon BA, Maclin EL, et al. Neurovascular coupling in normal aging: a combined optical, ERP and fMRI study. Neuroimage. 2014;85 Pt 1:592-607. Girouard H, Iadecola C. Neurovascular coupling in the normal brain and in hypertension, stroke, and Alzheimer disease. J Appl Physiol (1985). 2006;100(1):328-35. Lourenco CF, Ledo A, Dias C, et al. Neurovascular and neurometabolic derailment in aging and Alzheimer’s disease. Front Aging Neurosci. 2015;7:103. Schroeter ML, Cutini S, Wahl MM, et al. Neurovascular coupling is impaired in cerebral microangiopathy–An event-related Stroop study. Neuroimage. 2007;34(1):26-34.